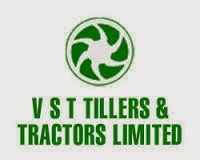 V.S.T Tillers Tractors Ltd (VTTL) was incorporated in the year 1967 in Bangalore, India. It was promoted by the V.S.T Group, a well known business house in South India, in technical collaboration and joint venture with Mitsubishi Heavy Industries and Mitsubishi Corporation, Japan for the manufacture of Power Tillers and Diesel Engines. The main products of the Company namely Power Tillers and Tractors are used in the agricultural sector all over the India. Power Tillers and Tractors are exported to whole of Africa. The Tractors are also exported to Middle East, Russia and Turkey. The component parts are exported to Europe, Korea and Thailand. The company enjoys a 47% market share in the Power Tillers segment which is heavily dependent on Government subsidy and loans from banks. This industry registered a growth of 12% in FY 13-14. Smaller players import the same from China and have a 25% market share combined. In tractors, the company manufactures tractors 18.5HP and 22HP tractors in which it faces increasing competition from bigger and organized players entering the below 25 HP segment. Agriculture contributes to 16% of the GDP and employs over 60% of the workforce which is expected to lower over time. This will result in greater dependence on power tillers amongst the small farmers who account for 85% of India’s farming population. Power tillers are significantly low investment products for farmers. The product penetration for Power Tillers in India is low compared to other countries such as China. This is expected to significantly increase in the coming years. Paddy Transplanters is a relatively new product and efforts are being put in to familiarize the farmers with this product. It will take time for it to significantly contribute to the company’s revenues. As shown in the table below, tillers contribute roughly 55% of the company's sales. The company is growing at a 5 Year CAGR of 17.7% in terms of sales and approximately 23% in terms of Net Profit. The margin has improved when compared to the past 3 years. Earnings have fallen in FY 14-15 due to weak monsoons which have affected the farmer's ability to spend. FY 14-15 will mostly be flat in terms of growth but FY 15-16 onwards the sales could boost up. The company has an equity base of Rs 8.64 Crores (FV 10), Reserves of Rs. 303 Crores (31st March, 2014) and no long term debt. The stock is trading at a P/E of 14 which we believe is fairly valued. The book value is Rs. 405 and Yield is 0.90%. Considering the market we are in, VST is a good buy for those who can put their money in the stock for atleast 3-4 Years. Projecting the EPS to be approximately 200 4 years from now when compared to 97 now, we believe the stock could double from current price of 1390-1400. The company is heavily dependent on monsoons and the earnings tend to fluctuate in the short term. If the government cuts down import duties on tractor imports then the chinese products could increase the already existing high level of competition. Also, the sales are dependent on the subsidies given to farmers for buying equipment. Any unfavourable move in this regard and badly damage the company's earnings. VTTL is a good stock to buy and hold in the portfolio and it could turn out to be a good compounder for the portfolio in the long term. In the short term if the stock corrects to 1000-1200 levels it can be used to add to the positions. India's agriculture is going to be modernized at a faster rate and VTTL will benefit strongly from the market share it enjoys. The company has a history of being a multibagger and giving strong returns to it's shareholders. We expect a CAGR of 19% from this stock.